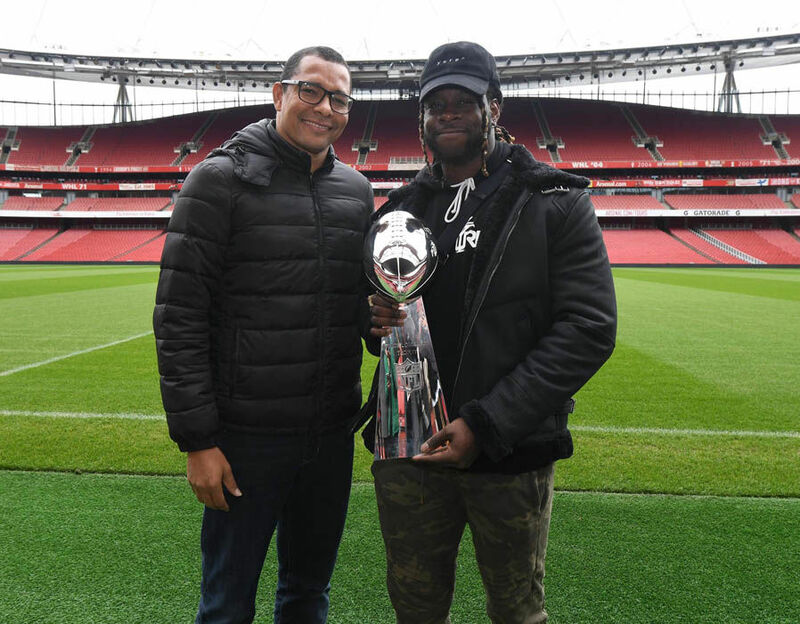 Jay Ajayi is a Super Bowl-winning and Pro Bowl running back who currently plays for the Philadelphia Eagles. The British-born American football player, who became only the fifth player from the United Kingdom to win the highest trophy in America’s favorite sport, was a two-time First-team All-Mountain West Conference honoree at Boise State University before he was selected in the fifth round of the 2015 NFL Draft by the Miami Dolphins. In addition to having won the Super Bowl, Ajayi has made sure his name is already being mentioned amongst the greats like OJ Simpson and Earl Campbell. He was able to do so by becoming only the fourth player to record over 200 yards in three games in a single season in NFL history. He was also the earliest to do it having managed that feat in his second season. Jay Ajayi, whose birth name is Oluwadamilola Jonathan Ajayi, was born to Nigerian parents; Ibi and Kemi Ajayi, on the 15th of June, 1993, in London, England. Following the birth of their son, the Ajayi family spent seven years in England before moving across the Atlantic to the United States. They first stayed in Maryland before eventually settling in Texas where their son attended Frisco Liberty High School. It was at Frisco that Ajayi began playing American football as he also competed and earned a varsity letter as a member of its track & field team who notably won a district championship. Upon graduating high school, Ajayi enrolled at Boise State on a football scholarship. He was redshirted as a true freshman in 2011, so was only able to join the team in 2012, where he managed 82 rushes for 548 yards and 4 touchdowns in 11 games. In 2013, his sophomore year, Ajayi had become almost unplayable by the opposition as he recorded 249 rushes for 1,425 yards and 18 touchdowns in 13 games. In his junior year, Jay Ajayi rushed for more than 100 yards in 10 games, becoming the first Boise State player to achieve such a feat as he finished the season with 347 rushes for 1,823 yards and 28 touchdowns, of which the yards and TDs were both school records. After this season, Ajayi announced he was forgoing his senior year to enter the 2015 NFL Draft where he was selected by the Miami Dolphins with the 149th overall pick. After being drafted by the Dolphins, Jay Ajayi put pen to paper on a $2.50 million, four-year rookie contract. He missed the first few games of the season due to broken ribs before returning to make his NFL debut in a game against the Buffalo Bills in November 2015. He ended up appearing in 9 games in his rookie season, recording 49 rushes for 187 yards and 1 touchdown. In 2016, Ajayi had hoped to become his team’s starting running back following Lamar Miller’s move away from the team but he was, however, upstaged in training camp by designated back up running back Arian Foster and so he was pushed back to the backup position. This led to Ajayi falling out with the Dolphins head coach who deactivated him from the team’s first game of the season. Ajayi returned to the side in his second game and later on, won back the starting job. He went on to prove he was the man for the job as he recorded rushes for over 200 yards in back to back games, the fourth player in NFL history to do so. He ended the season with a Pro Bowl appearance as well as 261 rushes for 1,272 yards and 8 touchdowns. 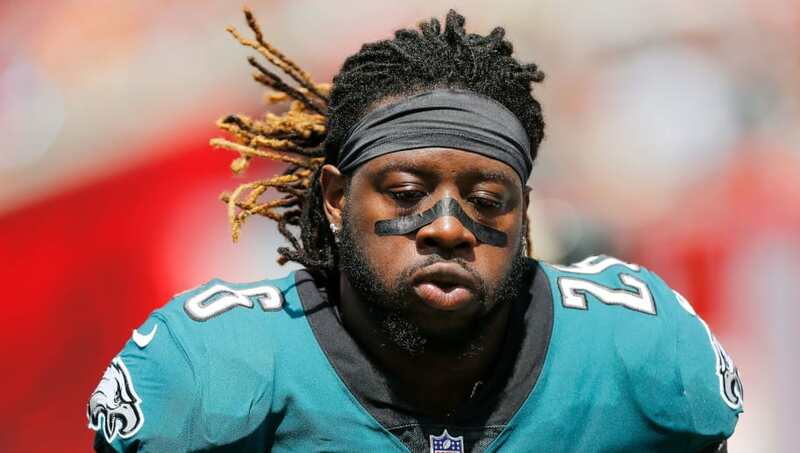 In 2017, after 7 games with Miami, Jay Ajayi was traded to the Philadelphia Eagles. The move turned out to be a great one as he looked to be the Eagles’ missing piece in their aim to lift a championship. Philadelphia topped the NFC and beat the Atlanta Falcons in the Divisional Round before brushing aside the Minnesota Vikings in the NFC Championship game. The Eagles went on to win Super Bowl LII against the New England Patriots to give both Ajayi and the Philadelphia franchise their first ever title. Jay Ajayi, who was able to record a vertical jump of 39 inches (0.99 m), a broad jump of 10 feet 1 inch (3.07 m), and a 40-yard dash time of 4.57 seconds at the NFL Combine and Boise State Pro Day, stands at a height of 6 feet 0 inches (1.83 m) and weighs 223 pounds (101 kg). His other body measurements are chest – 43 inches, biceps – 16 inches, and waist – 34 inches.